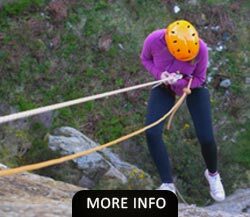 Come and join us for a day or half day of rock climbing, where your strength, determination and teamwork is put to the test on the sheer rock test pieces that Anglesey and North Wales have to offer. 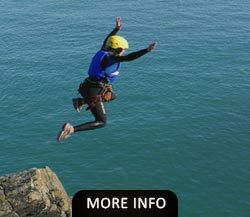 There are plenty of good reasons that people travel to Anglesey from all around the world to rock climb, perhaps it’s that we arguably have the finest sea cliff climbs in the world, or that they like the sunny climate, the interesting ancient mangled rock, the sea birds squawking, the open sea stretching as far as you can see and the broad mix of climbing grades that suit anyone and everyone. If you join us climbing, depending on if it’s a full day or a half day we usually start off with a bit of ‘bouldering’. 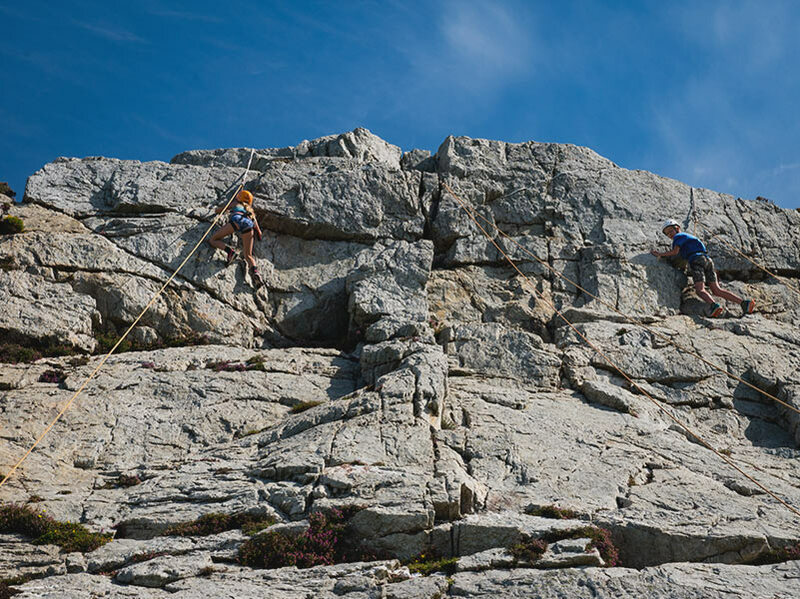 This doesn’t involve ropes and harnesses, but stays low to the ground and is a great way to hone your climbing skills and work out the best ways to move on rock in preparation for the real deal coming next. 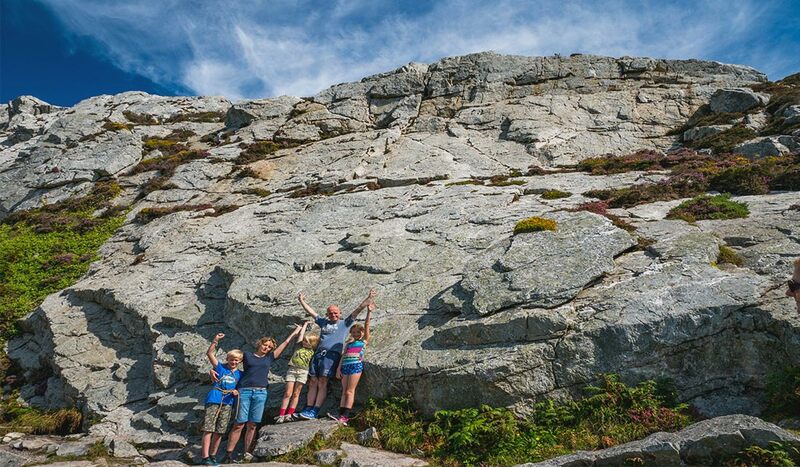 Then comes the true rock climbing experience, where you’ll combine these newly acquired skills from bouldering with your will and determination to scale the cliff faces in style. 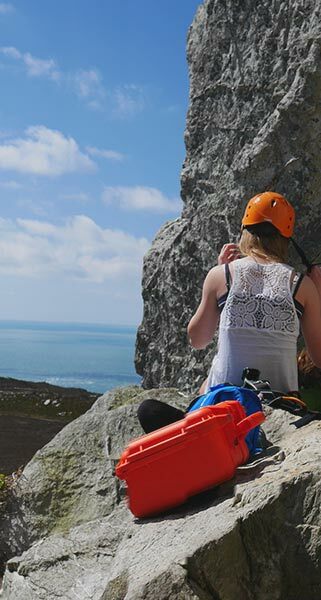 But before you rush off up the cliff face you will of course be taught how to put on a climbing harness, tie in to the ropes and also how to safeguard your teammates by belaying (holding their ropes) whilst they climb. 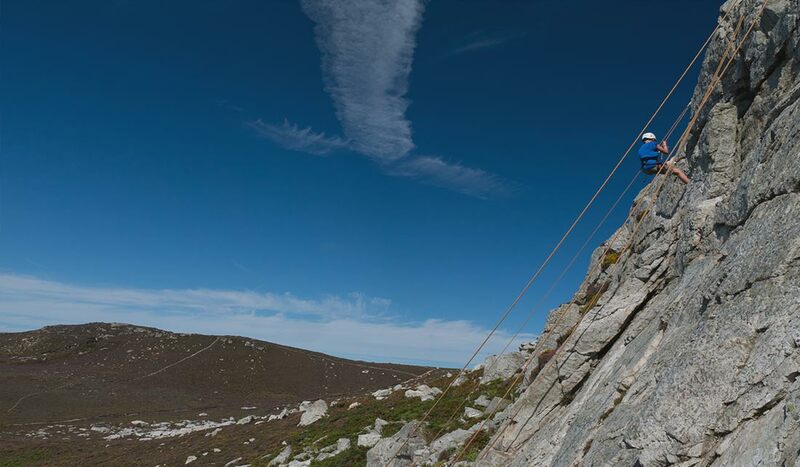 It’s a full involvement activity which really promotes trust and communications between all climbers. We will pick a venue for you aiming to have the best spread of climbing grades for your ability. Some that will be easiest, and others to challenge you to your max, where when you finish you’ll really feel like you gave it your all and earnt it! That feeling of overcoming a challenge and the accomplishment is what draws people to climbing, and they keep coming back for more. My girls loved it, especially getting all the way to the top. I was so impressed with them, and our instructor encouraged them just the right amount. Absolutely! 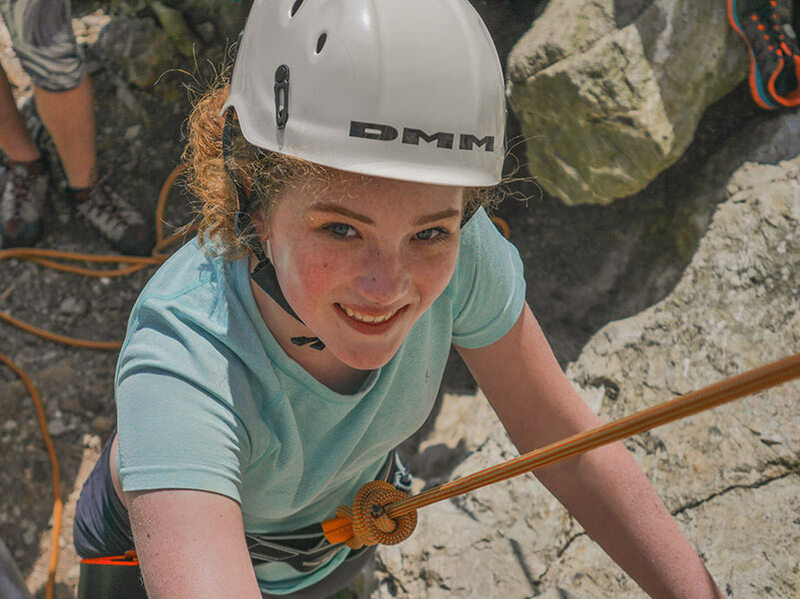 You’ll be guided through the whole experience by a qualified and well experienced instructor, they’ll make sure your equipment is all perfectly fitted, and that you’re belayed (held by teammates) properly. Safety is our number one consideration, so you’ll be in good hands. We are AALA licensed, meaning we meet and exceed very high standards of safety for adventurous activities. Trainers or something good for climbing. The best shoes for climbing are specific rock climbing shoes, if you have these then great! Bring them. If not trainers are good, walking boots are good, even school style pumps are good for this. I would avoid Astroturf shoes, stilettos, crocs, flip flops and sandals. Flexible clothing. You’re going to be busting out some moves, the last thing you want is clothing that restricts you. Fairly loose fitting clothes work well, or leggings and sportswear work great too. Shorts are best avoided as there are some scratchy plants on the walk in to our most popular venues. Warm and windproof clothing, sometimes... This is of course based on the weather, if there is a bit of a breeze a blowin’ then it could get chilly so have full length clothing and a jacket of some sort. Rucksack. 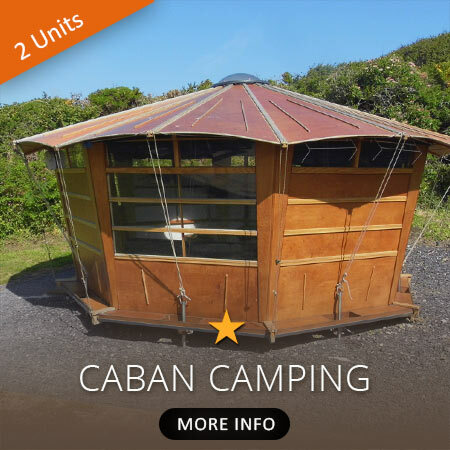 You’ll need this to put your climbing gear in for the short walk to the cliffs, as well as a drink, lunch and other bits and bobs you might carry. Something to tie long hair back if you have long hair, whatever you choose needs to fit under a helmet, so hairbands work best. Sun cream and any medication you might generally carry. WHO CAN GO ROCK CLIMBING? Climbing is a good year round activity. During the colder months it could be a little too cold to climb, but if that’s the case there is always the option to go to our local indoor climbing wall, which has loads of good climbing and bouldering to offer. In North Wales we have loads and loads of great cliffs which we can use. Our ‘local’ is less than a 5 min drive away and is often the best crag to go to as it generally has good weather and has everything you would want from a cliff to climb on. So we use that most of the time. There are numerous other cliffs to use that are about a 40-60 min drive away on the main land. 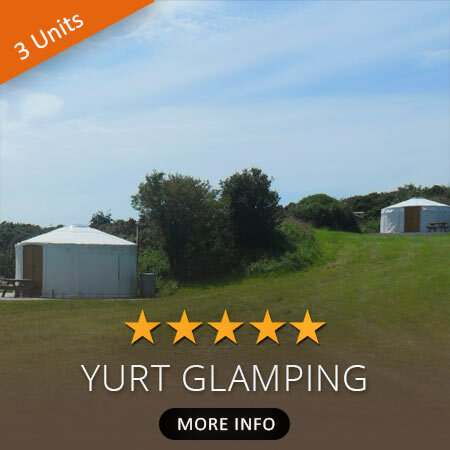 Some of these are perfect for a whole day out climbing and are well worth the extra drive. We work with groups of 8, though we can take more with a second member of staff. In a half day obviously you’ll have less time to do each part of the activities. As the roped climbing is the main event then the bouldering may be missed out. 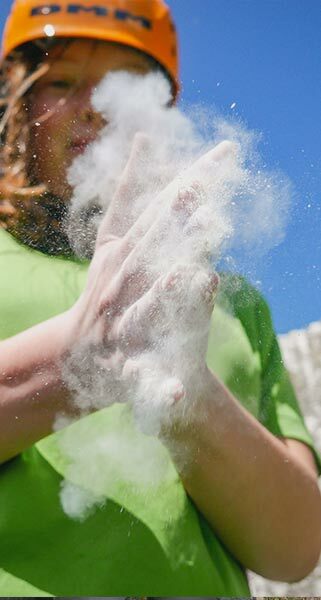 If you choose a full day more time is spent working on movement skills whilst bouldering, enabling you to get the most out of your rock climbing experience. We will have more time to master the rope work skills involved and of course more time climbing meaning more routes to tackle and time to work up to the harder routes. If we have the time we might even combine it with an abseil at the end of the day, depending on what people fancy. A full day also gives the option to visit further away cliffs and mix it up a little more. I’VE ROCK CLIMBED BEFORE, WILL THIS CHALLENGE ME ENOUGH? Well this will totally depend on how much you have done before. 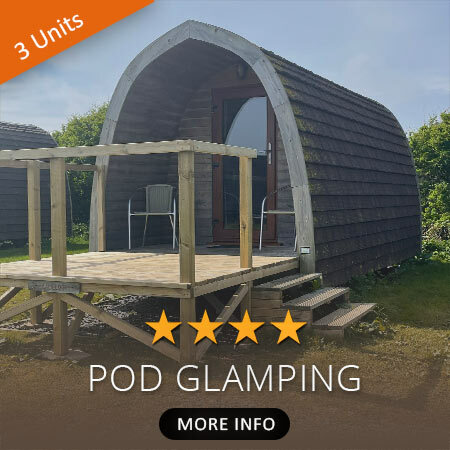 If you’ve just done a day or so, then we can definitely challenge you enough to make it a great day out. If you are an experienced indoor climber but not climbed outside, then again we can make it challenging enough for you and you’ll learn something new. Real rock is quite different to indoor climbing, and you’ll enjoy the tougher routes where your existing skills will be very useful. 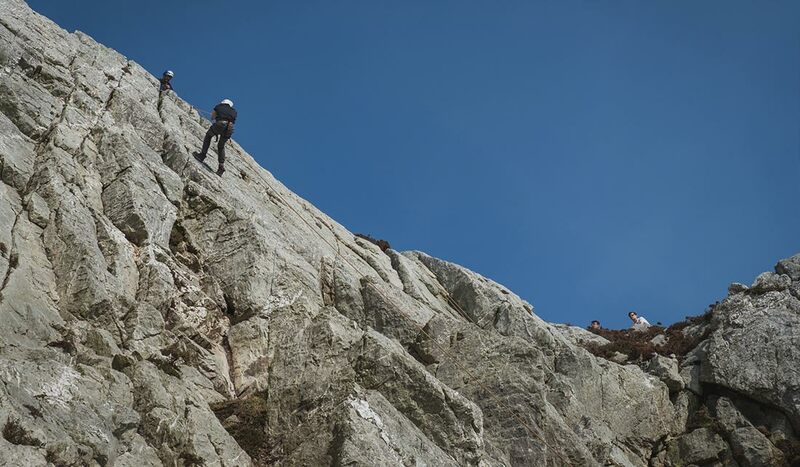 If you are an experienced rock climber then we can offer guiding or instruction on any routes, single or multi-pitch, learn to lead courses or anything you like. Please contact us for further information. CAN YOU CLIMB IF THE WEATHER ISN’T GREAT? You can do, you would just choose slightly less demanding routes and you can still have a great day out. Where we’re based we have a top quality indoor climbing wall only 20 mins away, so there would be an option to go to this if it was too grim outside to climb outdoors. If we end up indoors we can get plenty of bouldering done and there are dozens of roped climbs too, so you’ll easily get your climbing fix for the day. 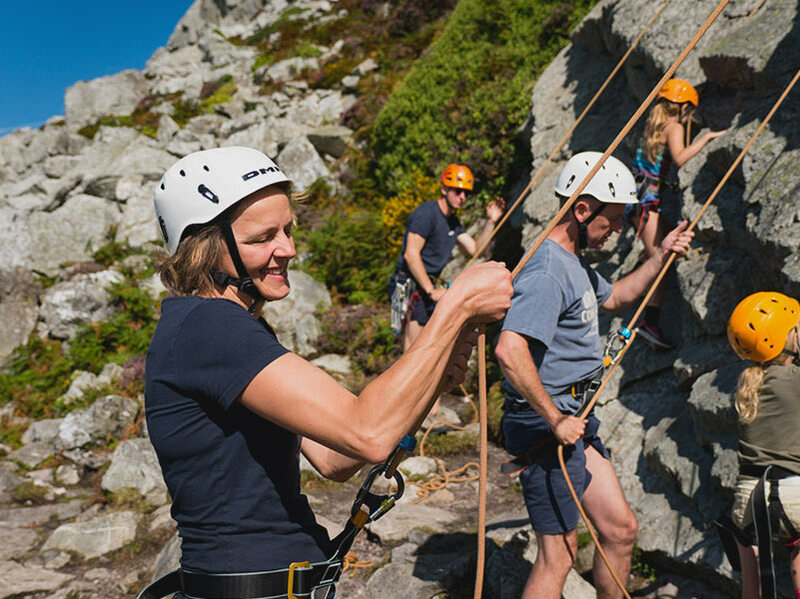 Rock climbing, and rock climbing skills are at the heart of most of our activities, and therefore our staff predominantly come from a rock climbing background. They are very experienced and lots of them hold the highest level of qualification available in climbing! 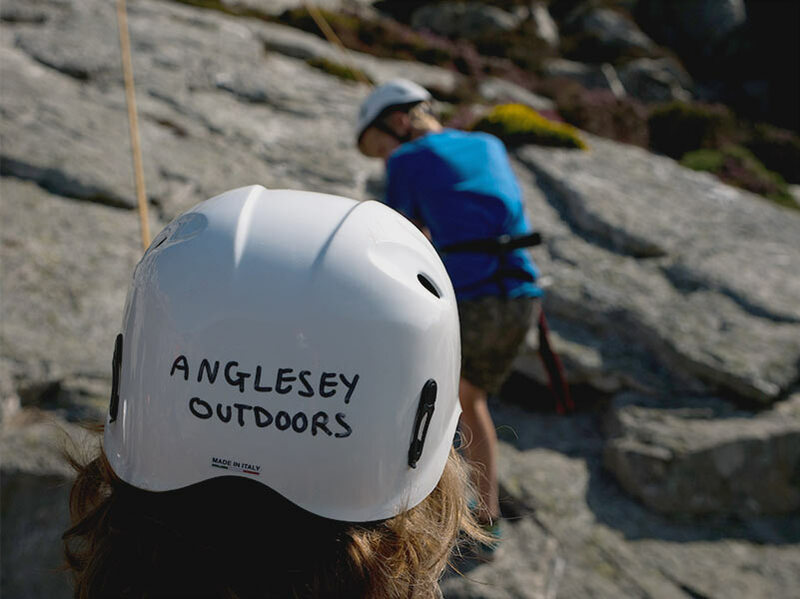 So not only will they take you to some of the UK's finest crags in sunny Holyhead or beyond and look after you well and teach you everything you need to know, but you'll have the added bonus of their own tales and stories of climbing across the world. We will also take some photos through the session, and share these with you online! 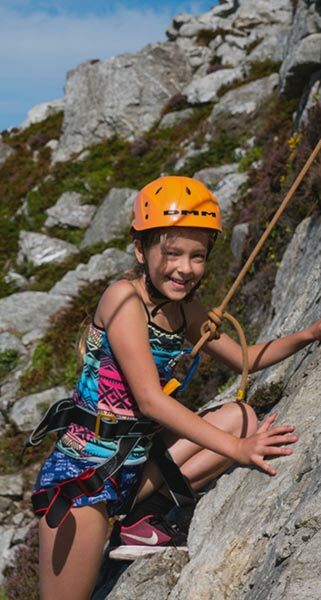 Because we have a wide range of different areas we can use, we can take real young'uns for their first rock climbing experience (age 8 upwards) as family groups. Through to anyone else on all different levels of difficulty. You don't need to be strong, have a head for heights or any existing skills. It's a real 'challenge by choice' activity, and we can pitch it at a good level for you. 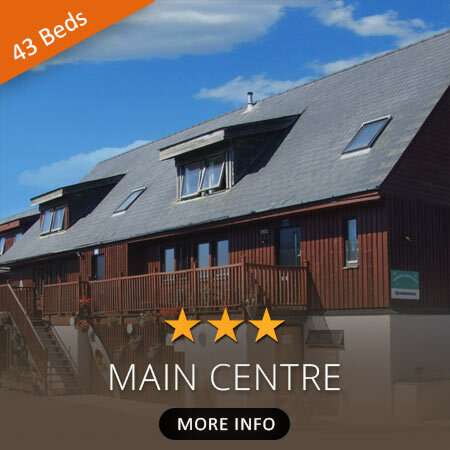 Follow the button to check availability / pricing or book your place on Rock Climbing today!